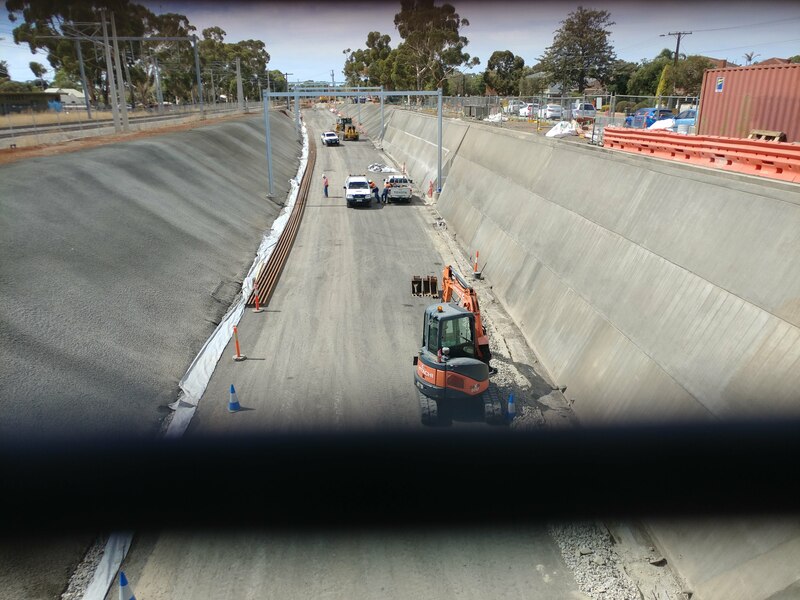 The Oaklands Crossing Grade Separation Project team will be holding an information session on Saturday, 9 February from 10am to 1pm at the SA Aquatic & Leisure Centre – 443 Morphett Road, Oaklands Park. Drop in to meet with members of the Community and Stakeholder Engagement, Environmental and Engineer project teams and find out more information about the project, upcoming works and ask questions. I can't wait for the right hand turn onto Morphett Rd to be complete. That's gonna save so much time. Work is progressing on the new station roof and the platforms .Picture 12/2/2019. Last edited by EBG on Tue Mar 12, 2019 10:57 pm, edited 1 time in total. Shotcrete (sprayed concrete) being applied to northern side embankment at the eastern end of station. The flat strips are material hose drains that are concreted into the embankment . Your first shot at the extreme left shows what I noticed on Friday, a new signal in a cage on the pedestrian bridge to retain the facility of departing from the down platform towards the city. This indicates that the existing crossover is either being kept in its present location or relocated at the east end of the dive. Southern trains to grind to halt. 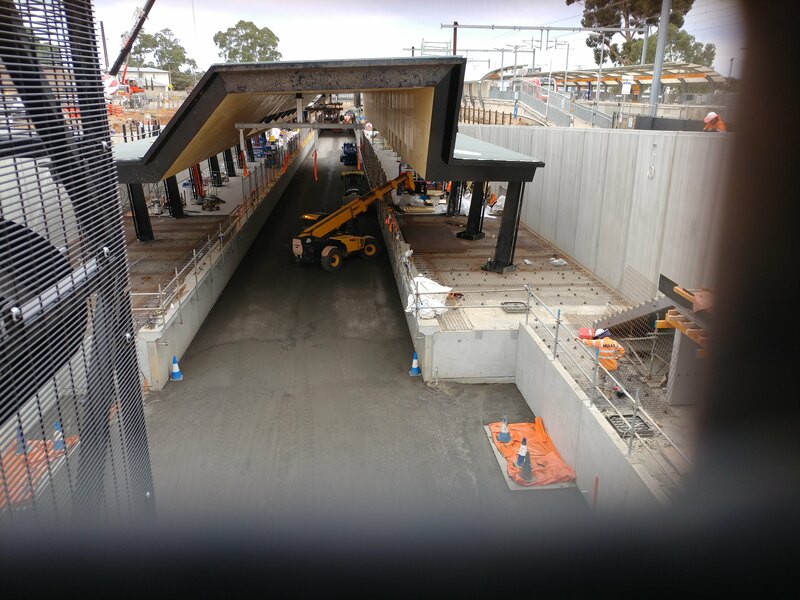 OAKLANDS UPGRADE Southern train commuters face more than three weeks of outages as the Oaklands crossing upgrade enters its final stages. Here’s what to expect. I won't read the full article but the headline itself is ridiculous. It's like The Advertiser expects every project to be done with zero inconvenience. OlympusAnt wrote: In Melbourne, they'd have the works done in 3 days. The March newsletter from the Project is now out https://ptpa-public-assets.s3.amazonaws ... letter.pdf. The accompanying email specifically mentions crews working 24/7 across the site duting the closure period. The newsletter (p.4) spells out in detail the scope of work during the closure. Of note is the first item, final excavations and the construction of retaining walls. 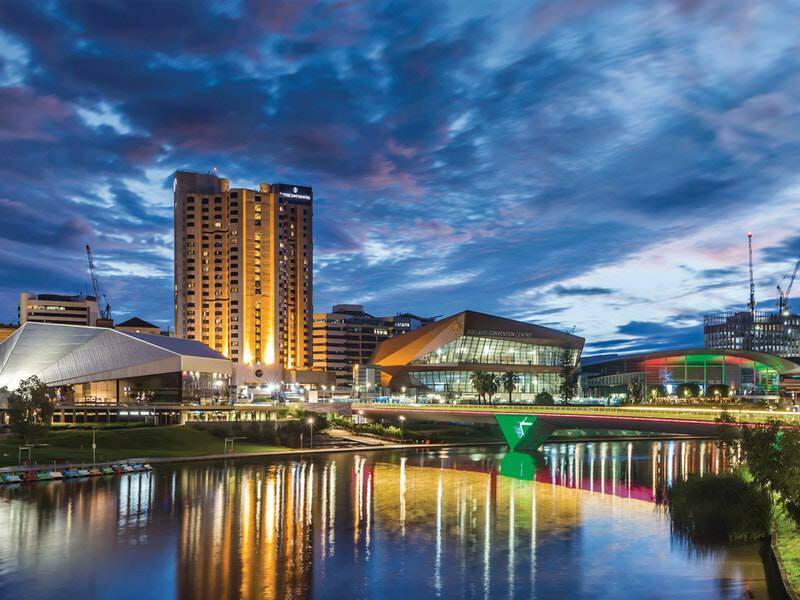 Even Melbourne can't do that sort of work in a three day timescale!! That's the ALP. Supposedly Liberal care about the bosses ("small business") not the workers so there would be no need to stretch the job out longer than it has to be.